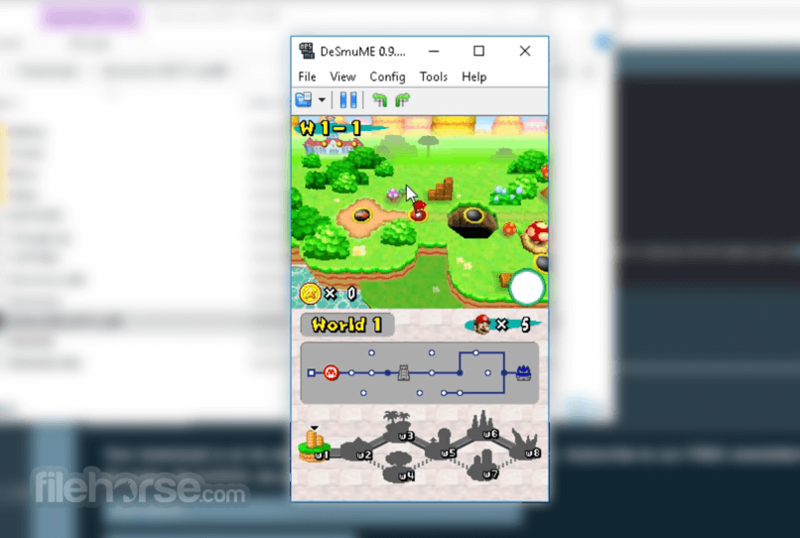 DeSmuME for Windows allows you to emulate a Nintendo DS system. 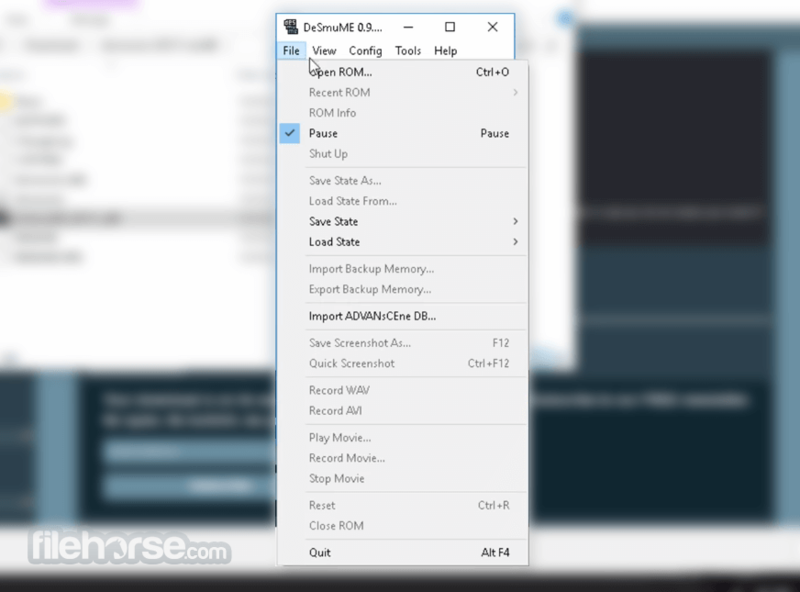 Think of it as a Swiss-Army knife for Nintendo DS emulation, giving you access to many powerful tools for testing DS features, from viewing ROM properties to managing Action Replay cheats. And best of all, this software is completely free and open-source. 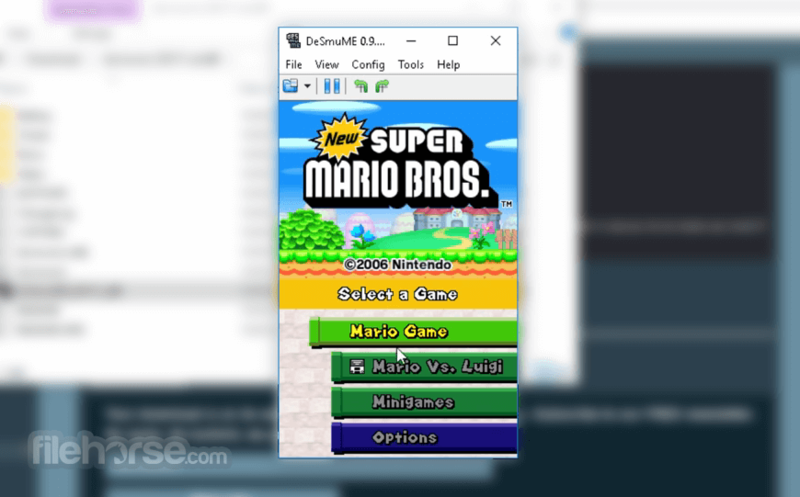 DeSmuME is the most seasoned open source Nintendo DS emulator for Desktop. It sports tools designed for hackers, speedrunners, youtubers, and casual gamers. Homebrew programs are supported and can even be debugged through GDB. The Windows and OSX versions are both relatively feature rich, and there is a small universe of forks and mods that add even more features for casual gaming. DeSmuME for PC is the origin of RetroArch and OpenEmu Nintendo DS support and is used by several mobile Nintendo DS emulators, with the notable exception of DraStic.